David Thompson and Randy Twaddle are the co-founders of ttweak, a 20 year old communications and design firm. 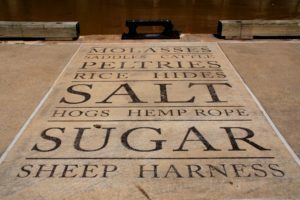 In 1998, they created the text installations along Allen’s Landing, where Houston was founded by the Allen Brothers. Please join us to learn more about the historic significance and inspiration for this work and others. 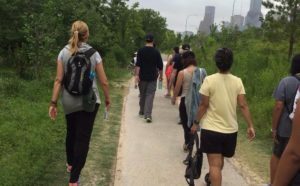 Enjoy a free walking tour in Buffalo Bayou Park highlighting the landscape and ecology of 19th century Texas that created Houston, as well as the importance of prairies in rebuilding this astonishing and all but vanished ecosystem. 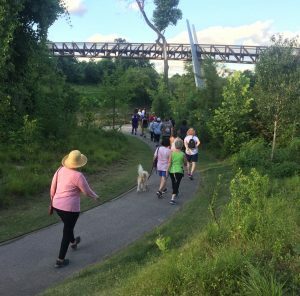 Buffalo Bayou Park is an award-winning park for many reasons – and one of those reasons, including its thoughtful and resilient design. 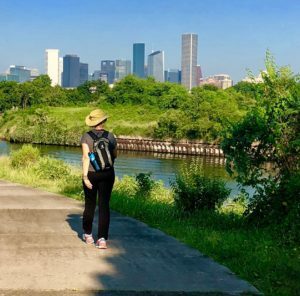 What were the considerations and obstacles in planning for this 160-acre green space in the heart of Houston’s floodplain? 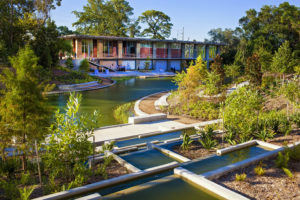 Find out firsthand on this walking tour led by Scott McCready, Principal of SWA Group, one of the team leads on the landscape design of Buffalo Bayou Park.